Strange title perhaps but I'll explain. I almost didn;t get some sleep last night, how wonderful. No, suddenly, yesterday evening my nose was filling itself with ugly, yakkie stuff and then it started to drop out. And it kept coming! I think I almost spent half a roll of kitchenpaper. The little paper hankies aren't enough in such a case! So you could say I catched somewhere, somehow a cold! It's very exhausting when that lasts for at least 1 1/ 2 hour. Well, I gave up and went to bed. But that also was hopeless. Almost no air, mouth hanging open to get some air, of course it dries out because of it, but you cannot keep tanking water or whatever ALL the time, then sitting up again to have some big sneezes, cleaning the nose again in the hope to breath a bit more normal, for a while, etc.etc.etc.etc. BIG roll of soft and thick toiletpaper on it, a little plastic bag hanging on one of the draws for the dirty sheets, sniffing, and "raining"with little drops from the nose. Pooh, I surely hope it will become a bit better and dryer during the day. Oh well, I suppose I will have to endure it, for a day or two, and then hopefully can forget all about it. If that is all I will have this autumn, and winter I should be grateful. I cross my fingers and even my toes that the flue will not catch me this time.! So Halloween is about over now and in some countries of the world they will be preparing for the next holiday, the Thanksgiving. As I like to be early and in time, I made you a Thanksgiving kit already. It has a very simple name"Thankful". Hopefully you can use it, I think there are some very nice papers in it. Well, I will finish now, oh this afternoon the speed skating season starts off on tv, as you know, I very much like watching it, so I must arrange my day very well, to have your freebielist, watch the tv, make dinner, snif and sneeze still a bit and hopefuly get started with a new kit. I hope you all will have a very nice day, relax from the Halloween, prepare yourself for the weekend. Time still too quick for me! So I decided yesterday to try some new things(for me) out on the computer. Well, I have been able to upload pictures from my digital camera. No big deal, I know, but it was first time on this computer. So that's one thing Had much more plans, but ......my day was turned over by a phonecall from Heidi, that her father would be over to me, to pick up the old computer. I was glad, because it takes a lot of space in my bedroom, so that's good. But as he came with Danny together, well you know how that is. A cup of coffee, another cup of coffee, Danny getting rid of his worries for Heidi so all by all it took about an hour. My whole "schedule"ripped apart. Then it almost was time to put together the freebielist, was also busy on another kit, and oh boy, is it driving me crzay, THE CLOCK!!!! I was up early yesterday, so I had the idea I could do a lot(planning to take a day off from all the householding stuff, haha) on the computer. But it just didn;t turn out the way I hoped for. For the rest it was a real quit day, which I like a lot. Was able to make another layout for a challenge, planning to do yet another, but NO........it didn;t turn out as I wanted, so skipped it all and have to try again. We scrappers sometimes have a difficult life, don;t you agree(GRIN< GRIN)????? The kit for today is a very soft coloured one, I like to try to make them once soft and another time bright of colour. May be you can use this for some nice layouts. It's named "On Waves of Love" (because of the papers with a kind of waves on it). The preview isn't doing justice to the papers, I must say. Spend the day well, for a lot of you Halloween is very near, so I suppose you will have to make still some preparations! For me it will be just a normal day, no Halloween here(although it is celebrated here and there in Holland). Till tomorrow. Yesterday evening I had a phonecall with Heidi, wanted to know how it was with here. She told me she had a phonecall with the hospital in Amsterdam( where she is under control and they have specialists there for her disease) and in short : she will go for a couple of days in hospital the 10th of November to have some tests and scans done. Her specialist cannot get a grip on her situation and wants to do a good check up. I think it is a good thing. Then in December she will go in for another few days to do a very special scan too. I think one of the results will be that she will get the advice to cut on her working hours. For now she was still working for 14 hours a week, but I already told her that it was too much, together with the normal things she is doing every day. I strongly hope her specialist will tell her that too! Perhaps she will listen too that. Then I was out for some shopping, had to find some raisor blades for Jan, he has such a hand thing where you can change the blades. I bought that for him years ago. It's a simpel thing but he likes shaving with it. Now guess what? Last week I bought a package blades for him. he wanted to use them, impossible! It was for a "click"system and his raisor thing has little blades which you have to shove in from the side. So yesterday I went back to the shop and they were kind enough to take them back and give me the money back. I then looked around in 3 shops to find the good ones.............NOT TO FIND!!! I gave up looking for it, did my other shopping and quickly went home, because it was kind of nasty weather, raining, a bit of cold wind, YAK. Well, I just have to look in another shop for the blades, but that will be for tomorrow. Today I am staying in! I finally want to get some pictures uploaded, hope it will go smoothly. If that goes well, I want to try out the scan. And IF times is left, want to try to burn a cd with some of my kits, so that they will not get lost. But you know how it is when I am planning something ahead, GRIN GRIN GRIN!!! But I was up early this morning, so I can spend more time on the computer, yippee! Let's go to the kit for today. Making it I had a bit my friend Dee in the head, the one with the recipe card making group. Well, perhaps she can use a few of the papers for it. So yes, it's a "cooking"kit, but I kept it rather simple. But I hope you can use it anyhow. Yeah, that's also a thing I once have to do! Organizing my recipes I have assembled over the years(and the ones I still have from my mother). It should be nice to put them on cards, and print them out, or burning them on a cd perhaps. Oh, Heidi also told me, she started making some Christmas cards( you remember I brought her all my paper scrap accessories?). But also Séverine likes to use them for her own projects, whatever they may be. She several times asked her mother if it would be alright to use all the things, nice hey? Well, I don't mind, I am glad she is busy in a creative way. Okay, end of rambling and here is the preview and downloadlink. Have a very nice day, and spend it well! Quick update about Jan. Yesterday we were in hospital and all some values for a sound body had improved a bit, so all our adjustements do help. She still keeps him(thank God) under control but now he has to come back in gebin of December, so that's a good sign too. Then to the dietist, well as e suspected she told us all we already knew, but it;s a good thing Jan has a kind of push like this, to even do more about everything. The only thing that has to diminish still is the fluid he holds in his belly, but in comparison wiwith a few weeks ago that was already better. So we just have to go ondoing as we were, even try to cut down a little bit more on the salt for the moment. But all by all it was a rather uplifing visit to the hospital. And Jan is a lucky guy, despite of the trouble he has with the health. He has two very nice looking women looking after for him. The doctor and the diestits! Had to laugh yesterday, you know. During the visit the doctor askes him to lie down for a minute, so that she could check his belly. And she said to him: please lie down and relax! And I with my quick mouth aswered her: Easy said, but how he has to do that, when a nice looking women is touching his body!!! Lucky, the doctor has a good sense of humor. We had some time between the two appointments, so I proposed to Jan to have a cup of coffee in hospital. They have a kind of coffeebar there, where you can have also some nice sandwiches and so. Looking at the price list Jan refused to take a coffee, the idiot! I know, it isn;t the cheapest place to have your coffee, but for once we have to wait , what the heck! After some pushing he finally agreed to drink one, pffffffffffff. And I took a very good tasting sandwich. Men are sometimes so incomprehensible! Well. after coming back home, I first did a tiny little bit of householding and then sat at the computer. I am busy on 3 or even more things, all at the same time. I must stop with that, making myself crazy with it. Anyhow, I had a bit less time. so for today I just have a small download. I made a kind of add-on to yesterday's kit. In this download you will have 1 quickpage and three brag book pages(never did them before). I made the quickpage 1500x1500 pixels and the brag book pages are 6x4 inch. Hope you can use that. So here's the preview and I wish you all a very nice day. Let me hear what you think about the brag book pages. You can use them on the computer but also can print them out and make a nice card or small gift for somebody, I think. I am only here to post the new freebie. It's named "Penso a Te"which means in Italian "I think of you".I must hurry up a bit, because we go to the hospital this morning for Jan's check up. It's a bit annoying, because there is about an hour waiting between the first and second appointment. I may be back with a little update this afternoon. If not, you will hear about it tomorrow. Have a very nice Monday! As we are far in autumn now, it thought it might be nice to have a bloglayout a bit in fall colors. And because the old header didn't fit in with its colors I had to make a new one. Well, why not? I like to change , only hope you will like this one too a bit. I don't think it will stay all too long on, because we are approching winter time too, nice excuse to change again, LOL and then Christmas,Yohooo! Anyway, this bloglayout is from http://www.aquapoppydesigns2.blogspot.com/. Then I first had to make the preview of Say it with Flowers part 3. First must give credit to http://cattscrappsdesignerresourse.blogspot.com/ for the curled ribbons! Oh, stupid me, I was sooo busy with all kind of other things yesterday, I completely forgot to make the preview!. And with the bloglayout change and having to make a new header etc. a challenge I am working for, etc. Boy, are we busy lately. I have the feeling I am running after myself in scrapland, LOL! Let's end this post with wishing you all a wonderful and productive (!) Sunday. Well, I made it to the chat yesterday at Magickal scraps! And how fun it was. Unfortunately there were not too many memebers present, but we had a good time. It really looked sometimes like chickens in a henhouse, onne after another came up with a remark or new subject, it's a nice way to get to know eachother a little bit more. Then I finally did a layout for my First challenge I am in on that forum, I can show you the result. Must give credit to Linda, of http://bonscrapatitdesigns.blogspot.com/ for the papers and elements from her Summer Wedding kit. Only the frame is not. Text a bit small here perhaps, it says: "A" is for August 2007, the month of our wedding. At the end, if I can hold on to the challenge, we will have a whole alphabet with all kind of things, important to us in our live. Nice hey? Today you will have part 2 of Say it with flowers, another paper pack. I have to do a lot the coming time starting already today. I must finish a kit I am busy with. I want to make the letter B challenge, but first have to try to upload some pictures on the computer, then I also want to do a colour challenge, then also have to do some shopping, oh boy, and this evening it is detective time again on tv. Loads to do and I am already late. I just want to wish you a perfect Saturday. The posting is a bit later, first did some bloghopping to blogs I follow regularly, was trying out another bloglayout, but at the end it didn't please me, so till now it;s the changed one. Went for a short while to Heidi yesterday, that stupid girl already is doing too much. Well, she will find out herself what she can or not. Hope not it gives here again a fall-back. But at least the pneumonia seems to run off now, however she has still a could and some coughing. I have the start of a kit for you today. I am still working on it, so I figured I could offer it in parts, gives me a bit more time. HAHAHA. Also yesterday just run into a paper pattern and tried it out for a paper for a kit. I liked it, so now I am in to that kit too! Oh and I will probably be late at the computer today, because I shall hae my first chat ever on a forum, that is to say, if Jan will have his usual evening out, I can attend to it. If he will be home, it will be a little tricky, because he already thinks I am spending too much time on it. He's right, just sometimes, but it's so nice! But normally he leaves me quit to it, so I must have a bit consideration with him too. So if he stays home, no chat, otherwise I will be on Magickal Scaps, the link is to find in the sidebar. Take a look there, they have very nice challenges and downloads! Just register free and you are in. 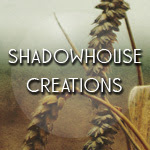 One of the moderators is Snowy, from Snowraven's Cave, she designs really beautiful things! ( hey,a bit of advertising is allowd). Okay, we will see how the evening will end. Tell you abbout it tomorrow, if I did attend to it. Now the kit for today, as I said it is in parts, today you get one half of the papers. Look at them and you'll have to say the are adorable, hmmm????? I named it "Say it with Flowers". Really hope you will like it. Then tomorrow another part of the papers( there are 18 in total) and the next day you will have all the elements. Oops, I thought this to be a short post, LOL. Always come up with something more than intended. To all of you now : have a terrific and wonderful day! As you could read in my Shoutbox already, glad to announce Heidi is home already. She called me yesterday to tell that. From what she told me they did a thourough check on her but couldn;t find anthing really disturbing. She said the infection from the pneumonia had diminished already( have to take her word for it) and that other values important for her were on a rather normal level. But of course she has to be still very carefull, and I hope she will manage that. I know her, you know! Often too soon she is thinking it will be allright, not wanting to miss anything and 8 times out of 10 she is too soon with that. Well, all by all I am glad, they sent her home and that in the end it wasn't as alarming as it sounded. Have to thank you for all your sweet messages for her. I will print them out and show them to her. Already had some last Sunday and gae them to her. She was reading them with BIG eyes, didn;t understand anything about it, but was of course, very touched. She asked me from where these messages came and as I told her it was from America and Australia , so from all over the world she was even more stunned! I can understand that, because she has no clou how we are towards eachother here in the scrapland, and had to laugh when I told her she is known all voer the world. So today I am going over to her to have a little chat and to see if she is still keeping herself inactive enough! I was able to finish yesterday a nice kit for you, named"Once at Granny's". I think it will be lovely to scrap some pictures from grandparents. I love the doilies in it! I had them from Jeanie from http://scrapdoctor.blogspot.com/. She always has tons of freebies, almost all the time CU freebies. Take a look there, she makes lovely things really! Now here is the preview, hope you all have a swell day! I am a bit itchy and not all comfortable in my skin at the moment. Yesterday, just as I wanted to go to Heidi I got a phonecall for her and she told me they were on the way to the hospital in Amsterdam(specialized in her lung disease). It seemed it was not going all too well with her. Of course I didn't got into a whole conversation with her at that time. She only asked me to have her doggie a walk and to close a shutter at her home. So I did. As I didn't know at what time Danny might be home again, I didn't call him, to give him some rest. This morning I called, but he had the voicemail on, so I am still waiting for some news. May be it is more a precaution of the hospital here to send her through to Amsterdam, but you can figure I am a bit worried. But now first I want to talk to Danny as soon as possible. Then we will know hopefully more. Can you imagine it is turning around in my brain the whole time? Well, in the background, but every now and then it pops up. and it makes me feel a bit nervous. And I know Jan is worried too, but he never show such things, and isn;t talking about it. But the first thing he asked me, sweet guy, was how it would go with Séverine, if Heidi has to stay a longer time in hospital. Because this week Danny is free and the little one has a holiday from school but I assume Danny has to go to work again and Séverine to school. As Ii don't know what is happening I couldn't give him an answer. That he already asked this is a sign he worries about our "adoptive daughter". Well, I keep you posted. I hope I will have a bit better news from her soon. The rest of the day I was busy with all kinds of things on the computer, mainly on projects(sounds more important than it is), so I just have a tiny, tiny freebie for you today. As we are near to Halloween I made you in a bit of a rush two quickpages for it. Hope you don't mind, but I figure you can always use them at a time. That's about all the news to tell, more than enough, I think, at least for me. So have all a nice day, send a little thought "upstairs" into the heaven for my best friend Heidi, I am sure that should help. Today is again Heidi visit day, so I am a bit more pressed to hurry up. I am sooo busy on the computer the last two days, lots of work to do, but you have to wait still a bit to get it all revealed. ! Then I did bit computer, then had to hang out the wash, again a bit computer for the freebielist, then already dinner time came in site, so into the kitchen. Then bit computer and then dinner. Then computer, and finally installed myself on the couch with Jan, watching tv, during I was crocheting again. You see, how fast time is going when you have things to do? Oh, in between I was doing some MSN and emails. MSN is a very nice thing to have and to do, but before you know, you are rambling along and 20 minutes is nothing! I did a good job, making more food than for one day, so today I only have to put it in the oven. And normally this tastes even better the second day. Smart, hmmmm..................?? Oh, yesterday evening it was good to see Jan again really laughing to tears! Brodski likes to tease(read: annoy) our Micky sometimes. I don;t know what that is, for days, he will not give her a blink and suddenly he comes into the room, looks around, then take a run and jump to the couch where usually Micky is laying and forces here away. Not nice of him, but cats have their own ways. But yesterday he was creeping towards her and before he had notion, the little one jumped up on him, giving him a loud: shhhhhhhhh and a tap with her paw!! Brodski really was swept off his paws and took the run. At that time Jan started to laugh out loud with tears running off his cheeks! Gasping for breath he said: Wow, this little old maid keeps surprising us in the strangest ways!" About half an hour later Brodski was lying on his normal place, next to me on the couch, he only HEARD Micky making a little move and...OFF he run the coward!! It was really a funny situation. Okay, enough of the household talk and cat stuff, you are probably a bit curious of part 4 of Childhood Play. Well, here it is, with the ribbons, tags, frames, journals and some toy elements. I really hope you can have some fun with this kit. I already started another one, but perhaps I will not be able to finish it already today. Well, we will see, maybe I make something very small for tomorrow's download and then the day after you will have another kit. Take care of yourself, have an awesome day! Yesterday I did all I wanted, how amazing! First, even before blogging, I made the dessert for Heidi, then blog, then a bit playing around, then I went to Heidi. She was home alone, Danny went out for a while the Séverine. So it was just at the right time I was there. I went over with the shopping car and it was like Christmas, reveiling all I was hiding in there! I hope, perhaps next week Heidi will be able to use it already a bit. For now I told her she just can think about it and what she wants to use it all for, but she has to stay very inactive for at least this week. If she will do so..... I am not sure with that stubborn girl!!! I am curious to know if she liked the dessert. She had at least a good laugh when she saw me unpacking my shopping car. Not much change with her yet, still very tired, but I think that will stay for much longer! Hopefully the pneumonia will leave her body soon. I told her I will come again on Tuesday, for the moment I will be on control visits(LOL) every other day! Oh, soon I will have such nice news to tell you. Hard for me to keep it silent , because I am soooo excited. But it has to wait still. Nice to have something to make you curious, TADAAAAAA!!! LOL! On to part 3 of Childhood Play. Still another paper pack. If it all goes right, tomorrow there will be the last part with all the elements. Now off to do some serious computer work( must already think about a new kit theme, pooh) so I leave you right here, wishing you a splendid Monday! I hope the new layout for the blog is better. But now I have another problem! You could call it a luxury problem, hahahaha! 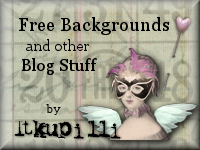 I found another site(and I know it is one of many offering free blog layouts) which has sooo much of them and sooooo beautiful ones, that I think I will be chainging a lot more in the coming time. Perhaps it will be a bit disturbing for you, I don't know. But now I can find layouts for every season or holiday which could be nice also. A change of layout depending the season. For the moment I will stick to this one, but prepare yourself for some possible changes. I am not the type who sticks to one bloglayout for her whole life. Terrible, isn't it??? I also changed of shoutboxprovider. Hadn some wierd things with the links. So I will try this one for now. Hope it works okay. In the title of the post I mentioned a busy Sunday. Well, it will be a bit. This morning, after my coffee, of course, I already was busy in the kitchen, making the apple dessert for Heidi. I promised to hop over today again and that I would bring a surprise dessert. I know, I am nuts with that kind of thing, but it is a simple way of pleasing somebody and I'll know she will be eating something this evening. Devious, hmmmmm??? Then I went through my closets, to find all my paper scrapping stuff I still have. Heidi mentioned she wants to make her own Christmas cards, has already some stuff for it, but as she then went ill, still misses things. So I will bring her my stuff(enough for very much cards!!!) and hopefuly she soon can start making them. And as I am as I am, I went out yesterday and found some little things, specially for Christmascard making and bought that for her. It will be funny to see me going out for the visit, I am going with my shopping car, because I have so much to take with me, this way it is easy to carry around. And then I still have ( well, not actually HAVE or MUST, but I surely WANT to) to do some computering for the kit I am offering you in parts. Then it surely already will soon be time for dinner, perhaps after it still a bit computer and then some favourite series have to be watched on tv, like Ghost, Moonlight(just new here), Supernatural and Law & Order. So am I right talking about a busy Sunday????? It's obvious that often a day is not enough to do all you want to. Okay, now here is part 2 of Childhood Play. It's also a paperpack and there is following another one. Wow, lots of papers, isn;t i? I just hope, you like it a litle bit. I wish you all a terrific Sunday, and take care! So first the day of yesterday. Boy, did I got some groceries!! As usual I did buy too much. That is to say, all the things neceassary, but it took up so much space in the little shopping car, that I had to take a plastic bag extra to get it all home. And boy, I had all HEAVY stuff in it, and I was soooo glad I finally got home and was able to put my keys in the keyhole. My arms were a bit trembling and I first had to sit donw a bit, to get in normal shape again. Sometimes you just don't notice how much stuff you are dumping in the supermarket wagon, and for sure you always miscalculate the weight! Then I put all the things away, made packages for the freezer for the meat and bread and took a cup of coffee. Then I was off to Heidi. Good I had taken the keys with me, because Danny was just picking up Séverine from school, and this way Heidi didn't have to go to the door to open it. I spent there some time, chatting with her. Of course she was pretending it wasn't so bad, buut she always does that. Such a stubborn girl in some ways!. But she looked very tired and I hope she got a bit of a shock now, so that she will take better care of herself (but knowing her, that is just wishing upon a star!!!!). Also had a chat later with Danny, and I saw he was a little bit worried. Not to het sad all the way, but he is looking after her with sharp eyes. Which is only a good thing. But when she is recovered(she thinks it takes about a week or 3 at the most, the stupid girl!) she has really to cut down a bit on her activities. But she has the urge to be with Séverine on all the things she is doing, because she is somehow afraid people could say she is a bad mother, because she doens't attend at all activities(like playing after school, the swimming lesson, going the library etc.). Well, it's one of the things you NEVER could say about Heidi, she is an adorable mother! Danny also told her already many times, that it is better not to attend to all things, or if she does, just for a shorter time, then to do it all but living shorter. Because with her disease she has a good chance not to grow very old, that's true. Well, up to me too, to get that into her head on a devious and diplomatic way! Oh the little one came home yesterday, right to Heidi with the message she had a diploma! It was for reading. All the words she does read well now, were mentioned on it. She was so proud of it and told me also that not all the children had the diploma! Good for her. And it was lovely to see the sparkling and proud eyes of Heidi when she looked at the diploma! So I was a bit away from home yesterday and was glad I could make the freebielist. Then I had to make dinner and then I had some more time on the computer. But I don't have a full kit for yo today. So I thought it might be an idea to give it to you in a few parts, it gives me a bit time, to finish it nicely. Today you will get a first part of the papers, so you will have already an idea how it will be. It has a vintage feeling over it, but I just love the pics for the papers. I had to give it some name and it is "Childhood Play". A lots of little events in a child's life, specially about the little games we, and certainly our parents, played. Hope you will like it. Okay, I will upload it now, then must go out for a short time and then I hope to be able to get on with the kit. Have all a very good weekend and happy scrapping! Had not a good phonecall! Yesterday I got a phonecall from Heidi, which starteled me up. She told me she was home in bed and had a pneumonia! Normally it already isn't a very nice thing to have, but in her case, with her PH it is not good at all! She is already under heavy medication and has to take that at least for a week. Next week she has a control but if it hasn't improved it's possible they take her into hospital. I felt sooo sorry for her, it throws her back in the health curve way back. I immediately asked her if she needed help at home, but fortunately Danny took right away a care leave from his job, so he is home all day. But I want to go over to them today, to take a look. It may be gives Danny a little time to do some things knowing somebody is taking care of his wife. I am really a bit worried, it stays in my mind all the time. Surely it will take at least several weeks before she will be quit okay again, but who cares? As long as she WILL be okay again. So that was the shock yesterday. As you may have noticed I changed the bloglayout again. I did it a bit quick, because of the plans for today, so it may change again? I had several remarks, that people had trouble reading it, so I try another one, also from Aurien, and also changed the font size and colours . I think the size of font makes it already easier to read. But let me know, if it isn't working for you, we happily will change it again. Every day a new blog look, how exciting and disturbing, LOL. But as the blog is first for you, my loyal visitors, I must try to make it easy to read, of course. Hey, still managed to finish a kit yesterday. I am already warming you, that there might be not a kit tomorrow, viewing the plans I have today. Well, I think you can understand that. But to start the week-end I still have on"named"Take the Past with You". I made it with the intention to have a kind of kit for some heritage like layouts. I hope I succeeded a little bit. I think, old pictures will look fine on some of the papers. And what do you think about the colors? So I hope you are happy with this one. Now I quickly must do some things on the puter and then rush off for the grocerie shopping and then off to Heidi. Don;t know when I will be back, so it may be that you will have to wait for th freebielist a little longer. We will see how the day will go. Take care of yourself, try to have a nice day. Just in time to say morning, I am very late with posting. First Mediafire wasn't in the air, so I figured I could try to change the bloglayout(I tried that several times without succes) But now I DID IT!! Isn't it a beautiful one??? First I must give credit for it to http://aurien.blogspot.com/. She also had a tutorial in very simple way(just GOOD for this dummy!!!) how to change that. I am so proud of myself! A link to her blog is also on the sidebar, just in top of it. I am progressing in time, may it be little step by little step, but never mind. So now I have just little time to ramble around, not so important, because there isn't very much to tell. However this. I got a phonecall from a friend of mine, Ann (she was witness on my marriage too) and she is also a bit struggling with her health. She must keep indeed very quiet for the next few weeks, because she suddenly had a little hole in one of her lungs. That's not very good. But fortunately it's only a very small one, but still.... 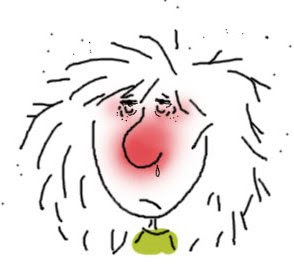 I don;t know what it is lately, but all of my friends suffer from something lately and I am not just speaking about a little flue. I must consider mtslef very lucky, that I am still in a rather good condition. Where is the wood to knock on???????????? Well, let's hope all will recover fast from all these nasty things, so that may be we can come together with Christmas again. I would love to! Then I can make a nice dinner and have to go out to buy some little, but funny presents again. I really cross my fingers, that this year it will happen again. Now on to the kit for today. I just made a tiny one for today, because the kit I was busy with still needs a little time. Perhaps tomorrow I can put it up for download. This one is however a very nice one, at least, I think it is LOL LOL LOL, and in a beautiful colorscheme. seem to like lately only one colourscheme. But I change like the weather sometimes, so it easily can be quit different next week. I named this one "Impromptu des Roses". Those French titles always sound so ROMANTIC!!!!!!!!! So try to make somthing nice with it.! Have all a very nice day, tell me what you think about the bloglayout. How do you do that, typing a little post on your blog as at the time Jan is talking to me with me giving remarks on a tv program, I am not listening to! Difficult to keep your mind on two things at the same time. So sometimes when he said something I just smile to him, or give something as answer like hmmmmmmm, oh, what did you say, and so. Perhaps not so nice of me, but I am busy now with other things! 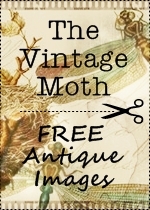 Well, as there is nothing at all to tell you, again, today, (I am getting boaring the last week or so, I know), I just pop over to the freebie for you. It's is one really for us, girls, and I named it "Women Things". How you should use this kit, I have no clue for the moment, but there must be something to do with it. Anyway it was fun to put it together and I hope so you agree that it's a rather fun kit. I am also busy already on another one, I don;t know if I will manage to have it ready for tomorrow. I want it to be a bit extensive kit, so we'll see. That's all for today, weather here has changed a bit already, when I look outside, it is a bit windy and very grey! Not a weather that makes you feel all filled with energy! I must put on some little programs on the computer and try them out. It always takes so much time with me, new is nice, only to get the hang of it all, that is really WORK!LOL!!! It will probably result in not having done it all, and I will think, oh well, I can do that another day. You recognize it??? Hope your day will be a nice one. See you around again! The trees are really loosing their leaves quickly now, you can slowly see the end of autumn and then winter will be knocking at our door, brrrrrrrr. It has its nice moments too, but I still remain more a summer person, like it a bit warm, open doors, you can just pop in to some light clothes and go out. In winter it seems always that you need hours to get dressed, with the extra sweater and a legging under the trousers if it's really cold etc. Then to go out, sometimes I turn into a Mars fellow, thick jacket, shawl, bonnet over the ears and forehead, gloves awesome!!!!! Okay, the kit for today is again a tiny one, but I think it's in a nice colourscheme. Very neutral papers so you can use it for a lot of stuff. It's called "Arietta" ( the small word for Aria, which means "song"of course). At the moment the neighbour thinks it is necessary to do some serious houserepairing which is his good right, but it's still annoying to hear the hammering all the time. Hope he will finish it soon! Not much to read for you today, isn't it? Sometimes I am surprised by myself with what I fill every day a post! It seems I can ramble about everything for quit a while! And normally I can be a very quiet person, and keep my mouth shut for hours, but as soon as I fell the typing board under my fingers, somehow a door opens itself and words come tumbling out! Alright, I will stop it now, I have pity on you! Have a nice day, and keep scrapping! We got up very early this morning to go to hospital. But then, when we checked to be sure it appeared we mixed up the day for the appointment. Last week I already said Jan we had to go on Thursday, but somehow he had in mind a Monday. Normally I check the papers, but for once I didn't. And we went today and it was wrong! It is not sooo important but it is a little dunb and stupid you could say. Okay, we have another one now and have to wait a bit longer to hear the results of the test. Boy, out of bed so early for nothing! It's not so nice. But okay, we had a laugh and just go on. Yesterday's dinner however was a big hit! I tell you how I did it. I had porc meat, I cut it in little blocks, then seasoned it with a bit of law salt, pepper, kerrie, paprika and mint, and let it on the low fire for about 1 1/2 hour, added a little water to it and also some coconut milk, together with big parts of onion and hacked garlic(a lot!). In between I cooked the sweet potatoe, also cut in squares. After the meat was tender I met the potatoes in it and let that warm up for about 10 minutes. We had it with a green salad. Yammie! And I also made a dessert. I had two little apples, took out the middle, than took some yellow raisins, with brwon sugar and vanilla sugar and butter and made a mess of it. Than buttered two little ovenplates and put an apple in each of one a little cinnamon over it with some extra butter. In the oven for about 15 minutes with a aluminium foil on it(so they ddn't burn and dried out) and another 15 minutes without the foil. Took them out, let them cool down a little bit and put whipped cream over it. Oh boy, was that good!! Even Jan ate it all! First his dish (not loaded too much, of course) but also the whole apple with cream. Wow, it's something to make again. So with a rather easy cooking, you can have a great meal! And as there was left still some whipped cream, afterwards I took my coffee with it. It's a good thing I have not to worry about my weight, LOL!! Now the kit for today. It''s a fairy kit, again. But I like it so much to use fairies, they are so sweet.I named it "Fairy Dust"and I done this one in rather pastel colours. Just hope you will have some fun with it. And after having posted this I must go on with the next kit for tomorrow. Busy life, hahahaha.! Late, but I am here. I was right yesterday, it was marvellous weather. So I did my shopping, in a relaxed way, and came home, and Jan already opened the door to te garden, can you imagine .... in October!.. And I looked a bit around and saw my doors and windows, wow, I got the bucket an water and things and cleaned the windows of it. Looks MUCH better now! Only Jan has to get out the big ladder to get my curtains down, and then at that time I also can do the little windows above the doors. I hadn't the courage to do that also yesterday. Well, when that happens I pick up all the curtains, to have a new fresh look. Then I played around a bit on the computer had a bite, watched some tv and again some computer and it ended up in a very small kit for you today. I named it "Andante" which in music terms means something like: walking in an easy pace, quit. I like sometimes giving a kit a musical name, because I also like the sound of the Italian language. Perhaps a bit stupid, but hey, I have my particularities! Did you notice 9of course you did) the change of colour of the blog? While I am still struggling changing the template (I have seen some bloglayouts on other sites, which offer them specially for Blogger), I must be doing something wrong in the html things when I copy and paste, one day I will and I must figure that out, I did this one with templates from Blogger itself.Not much of a change, but I was a bit tired with the pink. For the first time in my life I am preparing for dinner some sweet potatoes! It must be very tasteful, so I want to give it a try. I'll have it acoompanied by a stew from porc meat, so the meat will be ver tender( you know, also for Jan easier). I collected a few recipes and will tell you tomorrow if it was a succes, okay? So now I am off, want to do some stuff for a kit and then have to put the stew on etc. Tonight I must try to hit the bed a bit earlier(early rise tomorrow)!. Have a very nice Sunday, enjoy the last day of the week-end. How about this to start the morning?? I'm sure you feel happier right away. I promised myself not too sit too long at my computer this morning (who controlls me??????????) because I must do a bit of shopping for the week-end and I hate it to do that late in the afternoon. And on top of it it looks to be a fine day outside, so it would be a pity not to take advantage of that. Who knows how many days like this will come? Soon enough it will be winter with lots of days with nasty weather! Nothing much again to tell, the last days look a bit boaring, isn't it? And how HAPPY I am with that fact!!!!!!!!! Let it stay a LOOOOOOONG time like that a there will be one more person on this earth who will feel quit satisfied and happy, believe me! Dear friends, I will leave you already, but not without a freebie. Yes I finished this one yesterday and I tried to make it look a bit like the wallpaper and fabrics used in the castles and royal homes. Hope I succeeded somewhat. Couldn't think of much of a title so it became"Royal Decor"
Just love those big blinkies! Takes time to follow blogs! Before posting anything I first took some time to follow some blogs I try to keep up with. There are a few who write a lot( like me, when I start I cannot quit, LOL), but it's soooo nice to read, with a coffee in your hand, peaceful in the morning, all still quiet. Then I had a buch of mail to read, specially from a blogfriend, who sent me some marvellous things. Jan yesterday went to the hospital again, to deliver "things"for examination, also had to do a blood test. I hope to have uplifting news Monday morning from the doctor. She was sooo busy, that she squuezed us in her schedule at 08.30 in the morning, because she didn;t want to wait more than 14 days between appointments. Very nice of her. No more news to tell, I think, so it's better to go on to the freebie. I think it's a rather different kit from the last ones, but when I started with it suddenly it came out of nothing. I called it "Lost in the Mist". I am curious how you could use the kit. But certainly some of you are creative enough to find a fine layout for it. Well, anyway I hope you will like it, in these a bit gloomy colours. Now I wish you all a nice and bright day, keep in mind it's Friday, so week-end is already very near. Could be a happy thought for some of you! Hey, ladies, don't get upset by my remark yesterday, that comments were lacking a bit. I just noticed it, but I understand well, that sometimes just time is lacking, oh yes, do I understand!! I didn't go to Heidi yesterday, I was just in the middle of a new kit and it progressed so well, that I wanted to finish it. Well, that didn't happen but just a few things have to be done today. Did you perhaps go to Edna's blog today? I am so happy to read that the chemo for Tootsie is spread to every 5 weeks now, the poor thing. All seemed well with controls, so yippee for the little dog! Still a way to go, but it's going allright. Yesterday evening I had a nice evening, Jan and I watched one of our favourite English detectives, Midsomer murder. Always a lot of "hidden English dry humour"in it. And meanwhile I was crocheting along! Another good thing about the crochet is, that I smoke much less. I just don't want to lay my work down, to take a time out. It's a very good things for me! Now here's the kit. It is a sweet one named"Teddybears are SOOO Cute! "Well, I think that is true. Hope you will have fun with it and I'll be finishing the kit for tomorrow and hopefully have and idea for a next one! Have a very nice day, you all! Well, the email problem solved itself, hoorray!!! It's very annoying when it doesn't work properly. Only then you realize how much in fact you use the email. ! Put the blog on your post from which you received it and then nominate 8 other blogs. Today I have a rather big kit, of around 24MB for you. In my case that's heavy, normally I make them around 10-14 MB. But as I was busy on it, there came this to it and that and before I knew it had that size. Oh I so hope you like this one. 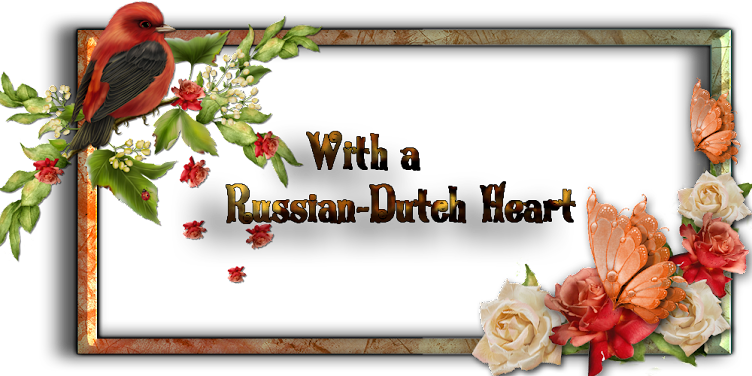 I have some great elements in it, that I found on a very nice site of Kim, http://kimmieskreations.blogspot.com/. She offered the "balls"I used as a CU freebie (but has LOTS of other freebies on her blog, take a look) and right away I fell in love with them. As this kit is about "Going to the Ball", but in Victorian time, I right away knew I would use these elements. I think they are ment to be Christmasballs, but as I saw them they reminded me of the little purses in about the same form at that time. So I just added a little ribbon to it and coloured them. I just LOVE them myself, so really hope you do too! I don;t think today will be a couch day. I asked Jan yesterday if he would go with me, but his reaction wasn't very enthousiastic, to say the least! It will ask some more persuasion from my side to finally go there. But I am a stubborn person, so it will happen, only I don;t know yet when! Best thing is to laugh about it and try again, LOL!! Men really sometimes need a special way of manupilation, isn't that so????????????? If the weather still stays a bit in the same way as at the moment, rather nice, perhaps in the afternoon I will make a quick hop-over to Heidi, if she has time. I don't plan it, because you know what happens with my plans,(grin-grin). On the other hand I could use the time, to go on with a new kit I started. Must keep up the work. Well, you will hear it tomorrow. Don't have much more of interest to tell you so it's better I put on the preview and leave you in peace. Enjoy your day, and by the way, where is everybody??? Missing a bit your comments, to be honest! Are you leaving the "nest"or are you just on little holiday breaks or so? Don't be shy to sned not only nice messages, if something is bothering yo(everybody has problems now and then) write them down, I DO read them, although I am not promising to have solutions for everybody. But it already sometimes helps to write it down. A lot of you also have my email address, so if you don;t want to be it public, don't hesitate. Well, was that an invitation or not? And now I really quit rambling, hope you can have fun with this kit!